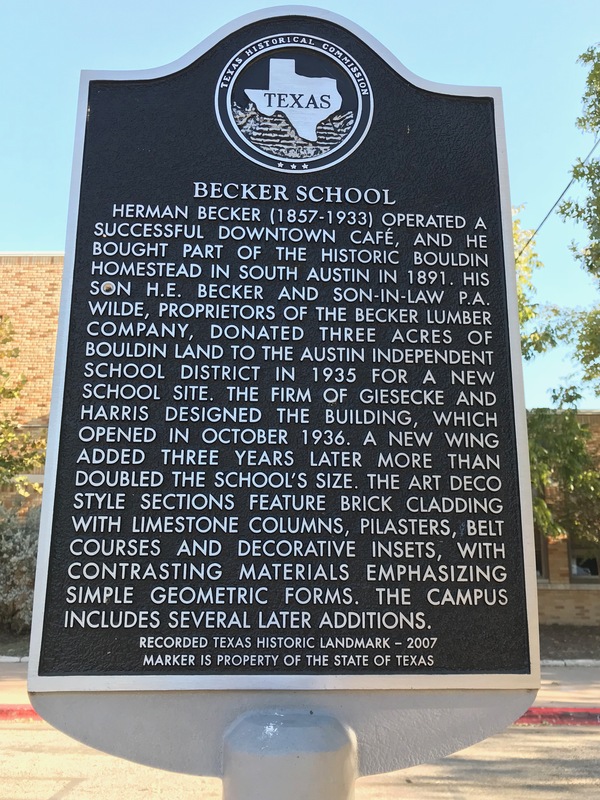 AISD completed construction on Becker School in the late summer of 1936. The school officially opened to students the third week of October in 1936, when four busloads of first, second and third graders arrived to set up new records and make history by attending the new school. Before Becker opened, all students in south Austin (of all ages) attended Fulmore for school. Hence, Becker was the first Elementary School in south Austin. You can find these and a myriad of wonderfully interesting historical facts about Becker in History of Becker School 1936-2006, in the stacks at the Becker Library, the Austin History Center and the Texas Historical Commission. Becker celebrated its 80th anniversary the third week of October 2016!